We are WomENtrepreneurs and we do things differently. We don't want to choose between career and family, and we don't let the corporate environment make us feel guilty for wanting to be there for our kids. In fact, we embrace just the opposite. We know you can HAVE IT ALL, and this podcast empowers women to GET IT ALL. If you’d ask people in the system they’d tap on their shoulders and show how far we’ve come. We know we’re not there yet, but we know where we want to go. We look forward, are unstoppable, and make things happen. This is our life, and we are in charge! What does this kitchen gadget (a funnel) has to do with my business? What does this kitchen gadget have to do with my business and why should I care? Sales funnels are an important gadget, not just in your kitchen. The same way a funnel in your kitchen helps you prevent spills, a funnel in business helps you prevent clients dropping off your website. A sales funnel guides your visitors directly where you want the to go, just like the kitchen funnel directs the liquid you are pouring to go where you want... Listen to this episode to learn more... For more please visit our website at www.fabulous-womentrepreneurs.com or let's link up on social media @fabulouswomentrepreneurs. You need more than just your passion to build a business and/or set yourself as a freelancer. You need the power of creativity and courage to market that passion and turn it into a business or a gig. Listen to this episode to learn how... For more please visit our website at www.fabulous-womentrepreneurs.com or let's link up on social media @fabulouswomentrepreneurs. What do you do with your business and your kids when kids are on school break. You don't want to drop the ball altogether on these two very important aspects of your life. Children are very important, and it's just as important to not neglect your business 100%. So this episode goes into what you can do in order to keep the business fire burning even when the kids are home. We share with our our solid secretes to continue to create and produce... AND... be there for your kids and yourself. For more please visit our website at www.fabulous-womentrepreneurs.com or let's link up on social media @fabulouswomentrepreneurs. How to make time, when there seem to be none left in a day? What do children fairy tale characters have to do with your business ambitions? We could all use this reminder from my 7-year-old.... If you pay attention, there are lessons to be learned everywhere you look. Children teach us some of the most valuable things in life. We've come so far away from that innocent and relentless belief that we can do it all and have it all. This usually happens when we have experienced failure OR when we listen to others that have failed, for their own reason and life story, which may or may not have anything to do with you. 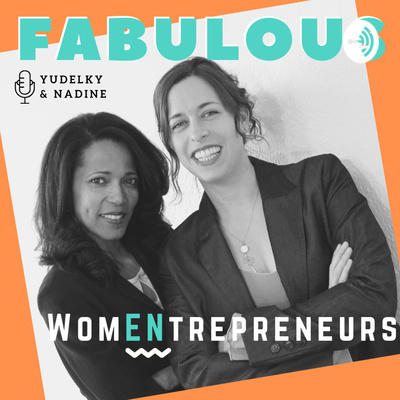 Listen to the full story on this episode... We're WomENtrepreneurs... and we CAN have it all. 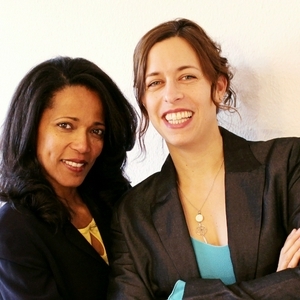 You can find us on social media @fabulouswomenrepreneurs or on our website www.fabulous-womentrepreneurs.com. Have a fabulous day! Happy International Women's Day! This podcast is our gift to all of you fabulous ladies out there. Nadine & Yudelky have come together to provide massive value to you and help you get it all. Establish and grow your business online AND enjoy your life. This episode tells you a little about ourselves and how we came together on this venture. For more content visit our website www.fabulous-womENtreprenerus.com or our social media @FabulouswomENtrepreneurs.